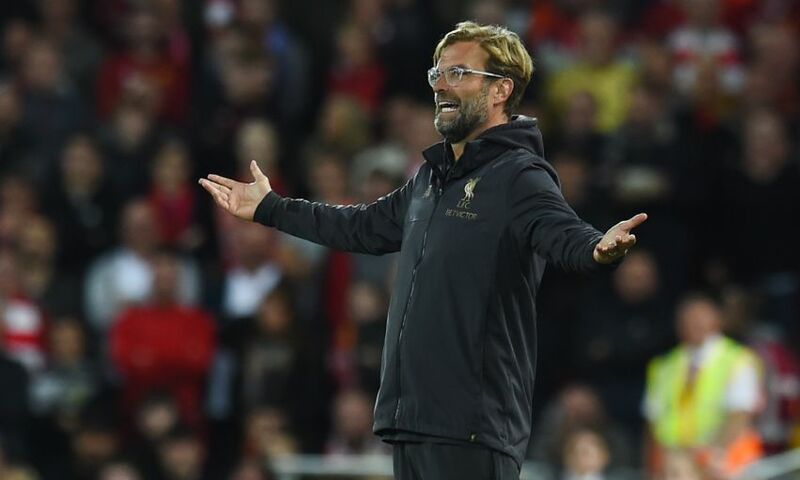 Jürgen Klopp felt Liverpool were unlucky to lose their Carabao Cup clash with Chelsea after being stung by a late comeback at Anfield. The Reds grew into the third-round tie and merited the lead they gained through Daniel Sturridge’s emphatic volley in front of the Kop just shy of the hour mark. 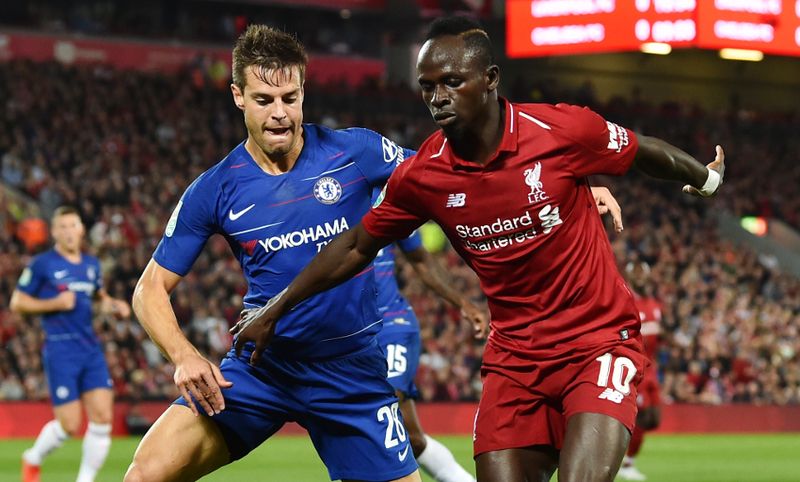 But the Blues levelled via Emerson’s rebound and the visitors sealed a turnaround that eliminated Klopp’s side from the competition when Eden Hazard slammed in a winner with five minutes to go. At his post-match press conference, the manager assessed the key moments in the game, the performances of the players who came into his XI and more. Yes, of course. It was a difficult game for both sides. They have a specific style of play, that’s cool and you need to get used to it. Minute by minute we got more used to it, even in the start when we left too many spaces open and stuff like that, when they could play between the lines, we already had bigger chances. They were not really a big threat, I would say. More and more we got used to it. The first half was good and the second half started well. We scored the goal and could have scored before. We played much calmer football, which is another thing we could have done in the first half already because against such a dominant side like Chelsea, in the moments when you have the ball then you need to dominate them. Otherwise you give them the ball and they start again with all the trouble. You have to get that. We had five players on the pitch with their first start of the whole season so I’m really happy that they had the game because now they are really back. It’s always a bit like this; they don’t start and after three or four weeks you think, ‘OK, now they don’t have rhythm.’ They don’t have rhythm but in the game they got the rhythm and in the moment when we learned enough from the game we controlled it much better. [We were] 1-0 up and could have scored the second; hit the crossbar; Shaq completely alone in the box, maybe you’ll have to ask him why he didn’t shoot in that situation. Then they scored a goal after the free-kick, which is of course an unlucky situation because neither the foul nor the goal itself was clear. You can discuss both situations; that’s not too cool and doesn’t feel too well. Then it’s 1-1 and they have the momentum in the game, scoring one and being back. I don’t think our reaction was bad but then Eden Hazard came and scored a wonderful goal. We didn’t have enough time to strike back. That’s the story of the game. Let me say it like this: hopefully they don’t have to. It was very intense. A few of the players who were not involved tonight are not 100 per cent fit, so we will see what we do. But it would be cool if we could make these changes again because not playing for a long time and then playing these 95, 96, 97 minutes and then playing three days later again would, of course, not be pure joy. We have to see. But they did well, that’s good. I spoke about a free-kick, the last one. We wanted to have Mo a bit wider, so we had passed the ball to Mo, the whole bunch of players was in one direction – where we shot the ball, actually. But if we can send Mo into a one-on-one situation in the last situation of the game, it would have been not too bad. What I said was about the free-kick, nothing else. I would say it’s pretty easy to say that here [in the press conference] because it was Eden Hazard and when he is on a run, he is on a run – but of course we could have defended better. I didn’t see it back so far so I will have to see it again. I thought we lost the ball up front, I am not 100 per cent sure, and it was pretty quick. Then, in the box, Eden Hazard at full speed, with his turns, it’s not easy. We scored a similar goal a week or so ago and it’s difficult to defend, but of course it is better to defend and we know that. I don’t know in the moment how but tomorrow I will know.